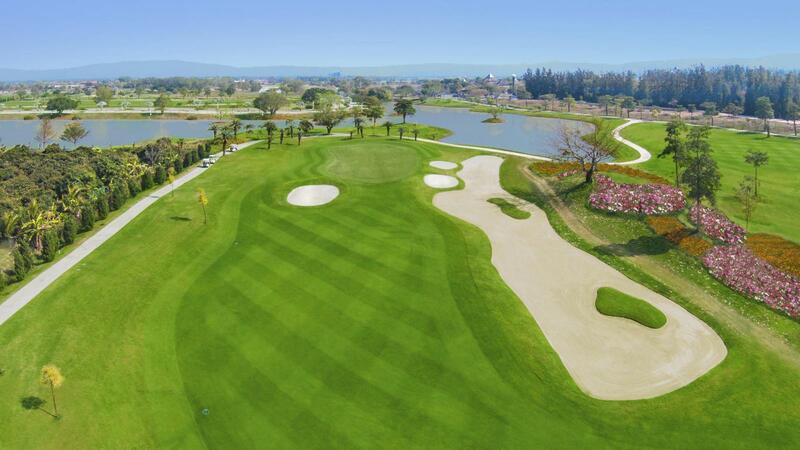 Gassan Legacy Golf Club is a challenging eighteen hole course playing to a par of 72 and 6,814 total yards that was recently remodeled by the international design firm of Schmidt Curley Design. With the recent course changes, the course has proven to be very fair, challenging. memorable and fun to all. Water is in play in many areas, but there are also several option on how to play holes adding to the course's intrigue and unique style. The highly manicured TifEagle greens, Paspalum fairways, long mountain views and beautiful lakes create a course that will exceed the expectations of the modern golfer.